In short, you can get free Taco Bell breakfast burritos for the next month. 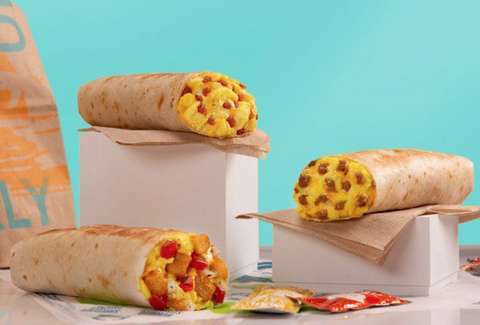 All you have to do is make an order (any purchase will do) online or through Taco Bell's mobile app, and you're entitled to one Grilled Breakfast Burrito or Grilled Breakfast Burrito Fiesta Potato per person, according to the chain. The deal lasts through May 11 (it expires on May 12 at precisely 2:59am, if you want to get technical). Get a free Grilled Breakfast Burrito with any purchase online or on the app through May 11. If you're more hungry than thirsty, you can also get a free Mountain Dew Sugar Free Baja Blast if you order online or through the app until May 11, 2019. But you can't use the promotions together, so you'll have to look deep into your heart and discover your inner truth here. Make sure you order some hot sauce too. It might just save your life.